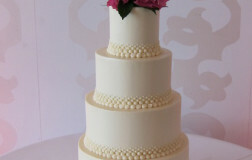 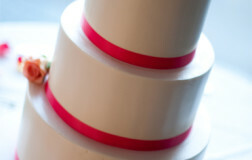 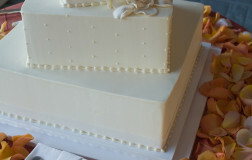 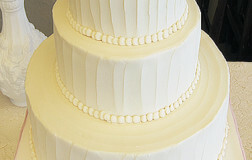 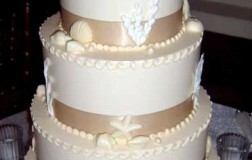 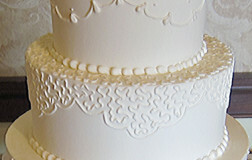 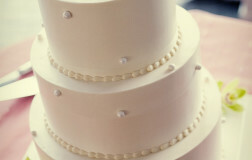 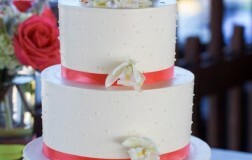 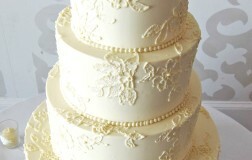 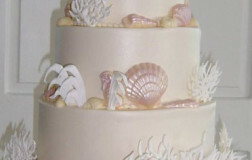 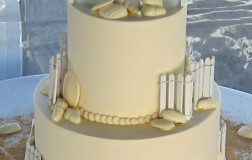 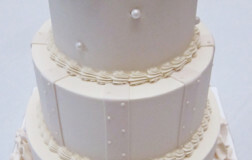 Three tier cake shown in vanilla butter cream frosting. 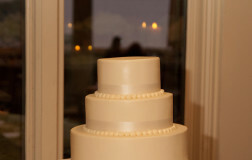 Look at who decided to join the wedding! 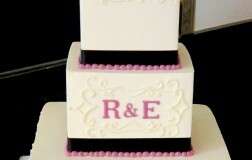 Love this whimsical touch! 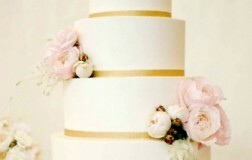 Use cake stands or pedestals to elevate your cake for a more grand statement. 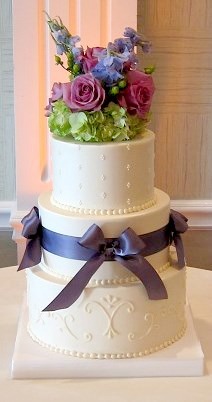 While this is still a smaller cake, it looks elegant. 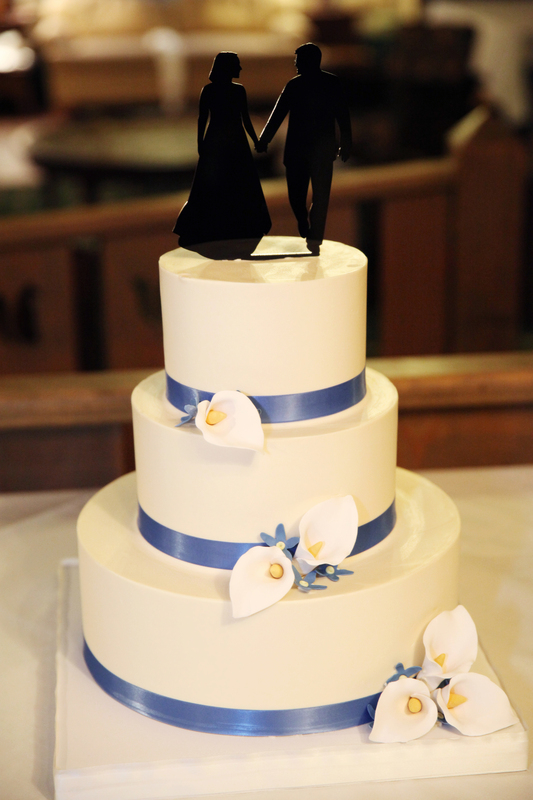 The perfect presentation for a smaller, more intimate wedding. 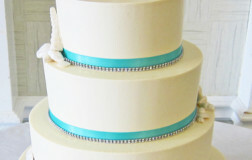 Such great color contrast. 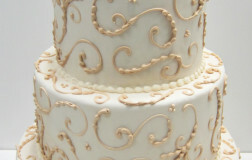 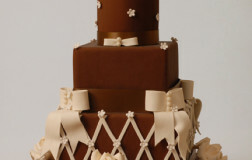 Brown wedding cakes make such a dramatic statement. Love the soft subtle colors. 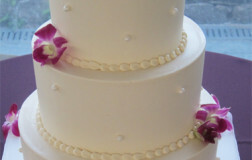 The flowers really add a romantic feel to this cake.